Is our generation overly sensitive and nostalgic? Perhaps even more so if they have Scottish blood. If I get round to wanting to write something down, but no longer with the self-inflicted pressure of feeling obliged to do so, then invariably I try to write down present thoughts. I used to have good CD of 'Dire Straits'. It contained the magical 'Sultans of Swing'. Although I'm deaf enough to no longer be able to easily tune my guitar as before, I often recall this melody still stored in the velvet corner of my mind's acoustic bank. It has a poetical magic that moves me. I wonder if readers can understand this. I recently came across a YouTube video of Dire Straits playing 'Sultans...' It was a live TV performance on 'The Old Grey Whistle Test' (1978) which in its time was a reference for good groups and great music in GB. Whoever had the privilege of performing on this program always gave their best, which is what it's all about, and naturally what one should always do in any case. Today 'Sultans of Swing' is just as fresh, dynamic and evocative as ever. 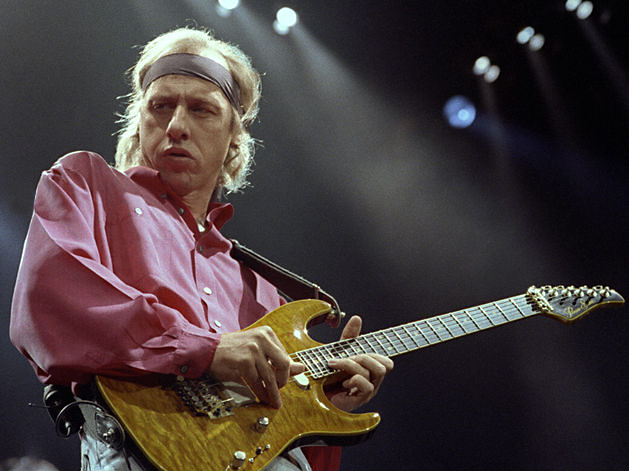 Mark Knopfler is one of those rare guitarists (Jimmy Hendricks was another) who are able to make their guitars sing, wail and fly off to incredible acoustic heights. No one needs to sing to accompany such guitar playing, in fact neither Hendricks nor Knopfler really bother/bothered to sing. They murmur timeless words to the fabulous melody they create/created with their guitars. Strangely one hums the melodies from memory, not from the singing of either performer, but from that melody that resounds, and will always resound fantastically from their guitars. Isn't this also the essence of poetry, of art, and why one is emotionally moved? Phil Collins is another. They are others, of course. They never need to dress up too much. They don't need to destroy their drums or break their guitars on the stage during live performances. The respect they have for their instruments would never permit such pointless stupidity. They are musicians, artists. Naturally there are the wonderful symphonies created by the world's greatest composers. Replaying such great works also gives one goose pimples, but the adjectives 'classical' and 'modern' are meaningless when applied to art. No adjectives are necessary. It's art or it isn't. 'Sultans of Swing' evokes a dark and rainy Friday night south of the Thames in London. One can hear a jazz band playing Dixie. It's a local gig. There's George who knows all the chords. He plays rhythm on an old guitar. He can't afford to buy a new one (and this brings back personal memories too). There's Harry who gets by better because he has a steady job. And he plays honky tonk superbly. In the corner there are a few teenagers dressed up in baggy pants and fooling around. They don't give a damn about trumpet playing bands. It's not what they call 'rock and roll'. Then a man or the band leader steps up to the microphone. It's time to go home, but there's one more thing (that last incredible guitar solo). Isn't this fabulous? Poetry, art. Text © Mirino. Image- (slightly retouched) with thanks to musicradar.